Welcome to Piedmont Heights! As the oldest neighborhood in Atlanta, we’re a “Small Town in a Big City”. We have single family and multi-family residences as well as a thriving business community among our midst. Like much of Atlanta, our neighborhood is changing with new development, homes, businesses and neighbors. This website contains all of the information you need to know to “Live in the Heights”. 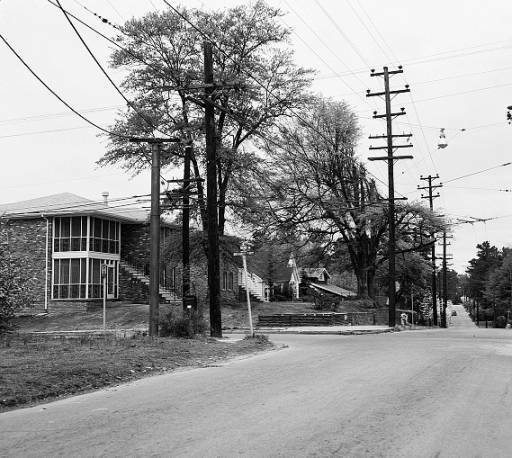 Piedmont Heights is a small neighborhood, but it has a big history and many notable features. Thousands of commuters pass through it each day on Monroe Drive between the Downtown Connector and Piedmont Avenue unaware that is a residential area. There are no identification signs and one could walk completely around or through it and be unaware of its uniqueness. In 2014 Sam and Barbie Bromberg moved to Piedmont Heights from Alpharetta to be closer to Sam’s mother who lives in Morningside, where Sam was born, and to participate in the arts and cultural vibe of Atlanta. Sam came of age in Piedmont Heights in the late 1960s when, at aqe 15, he worked for Baskin-Robbins in Ansley Mall and then at the Kroger supermarket when it was located where CVS Pharmacy is today. Sam and Barbie are now “back home” at 1836 Rockridge Place. 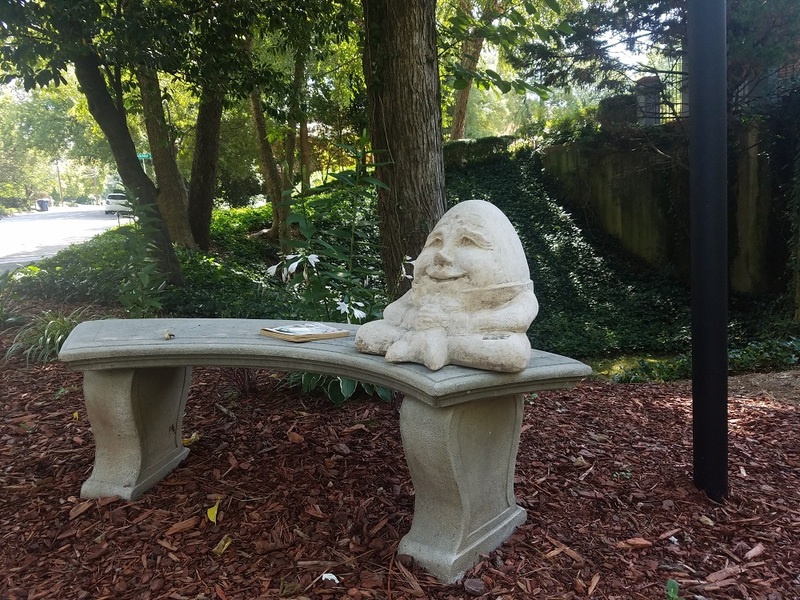 Their new residence has a large side yard on Rock Springs Road where the previous owner had placed large boulders, an ornamental tree, and a concrete bench. Living across the street, I often noticed Sam walking around this yard or sitting on the bench in deep thought and one day went over to welcome him to the neighborhood. 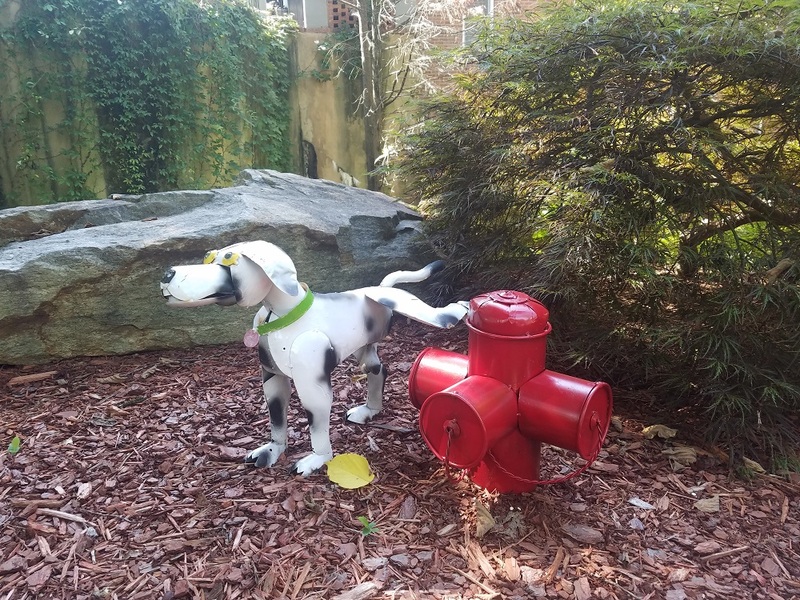 Recently I spotted Sam in his yard and went over to complement him on the latest addition to the street scene. While we were sitting on the bench and talking, two walkers came by and cheerily thanked Sam for what he had done. That says it all. Sam owns Nova Wealth Management Group, and Barbie is an Intuitive Counselor. 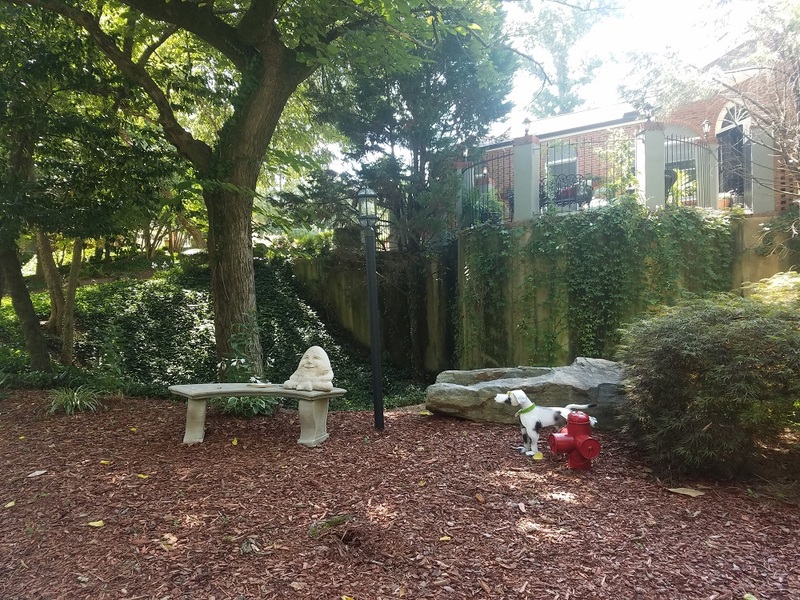 They have made Piedmont Heights a much better place, and I hope their contribution will inspire others to create more such informal neighborhood pocket parks. Piedmont Heights is home to one of the first Holiday Inn hotels. 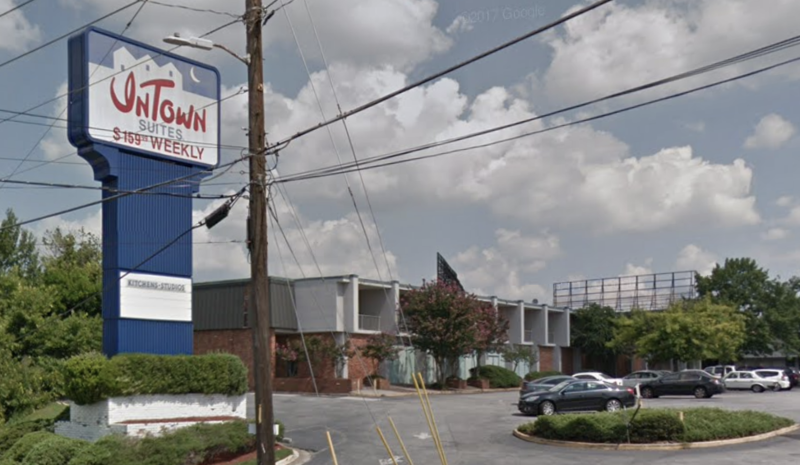 Located on Monroe Drive at Piedmont Circle overlooking I-85 it most recently was called Intown Suites, catering to weekly renters. The hotel chain was conceived by Kemmons Wilson in 1951 when on a family vacation trip he became frustrated with the shabbiness of roadside hotels then available and which charged extra for children, of which he had five. Wilson built his first hotel in 1953 in his hometown of Memphis, Tennessee, and named it for the 1942 film Bing Crosby film ”Holiday Inn”. 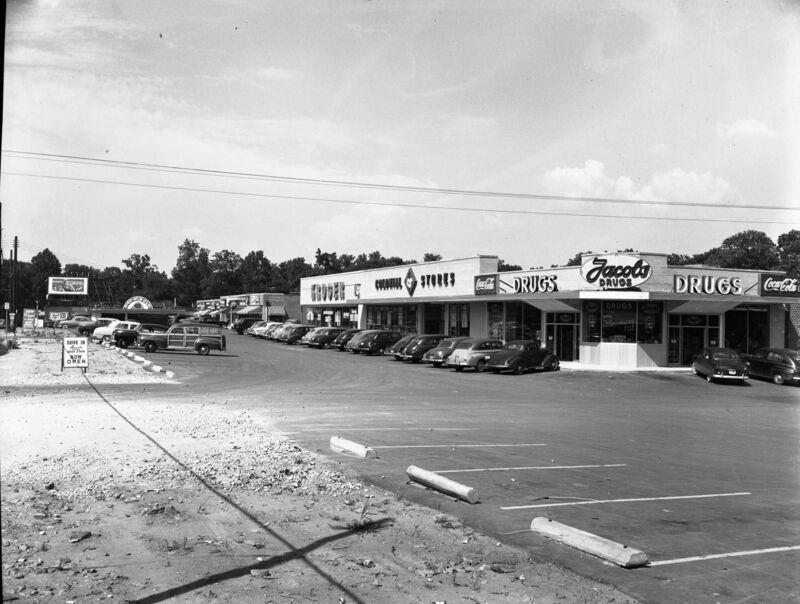 Wilson built a chain of the hotels along the new interstate highway system, a day’s drive apart, and by 1959 there were 100, likely including the one in Piedmont Heights. By 1970 there were 1,700. The new chain catered specifically to families and offered such amenities as baby cribs, dog kennels, swimming pools and restaurants. The daily rate was $6 -- and children stayed for free. The chain’s “Great Sign”, fifty feet high, double-sided and neon lit, was highly visible from a great distance along the nations highways. The sign is long gone but today there are Holiday Inns in over 50 countries. Today Intown Suites is empty and surrounded by construction barriers. The new owner, Paces Properties, will soon begin renovating the property into a multi-use facility containing an upscale 162 room suites hotel, large restaurant, event space, retail amenities and 26,000 square feet of office space. This writer remembers taking guests out to eat at the old Piedmont Heights Holiday Inn one evening in 1970 because it had the only restaurant open on Sunday in the area at the time.